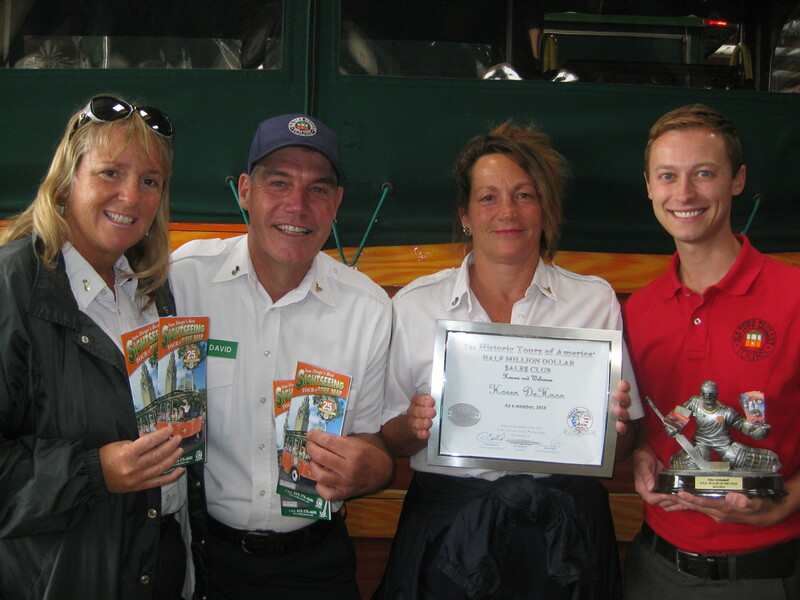 Each October our amazing CAST at Old Town Trolley Tours of San Diego’s raised money for Breast Cancer Awareness. Through bake sales, yard sales, and tip donations, these amazing men and women raise over $5000 for the University of California – San Diego Moors Cancer Center. This is their fourth year and their efforts and enthusiasm get bigger each year! Old Town Trolley Tours of San Diego baking for a good cause. I was actually born right in the city of Boston….just a few years ago… and grew up in the very historic town of Concord, Massachusetts, home of the American Revolution, and many famous writers and philosophers like Thoreau, Alcott and Emerson. History and visitors from all over the world were just a part of growing up in my town so I feel right at home working in OTT Boston. Every Patriots’ Day in April my family and I still attend the annual parade and watch the Minutemen and British militia meet at the Old North Bridge on the Concord River. After high school I went off to college in Maine…Colby College..where I majored in French. Junior year was spent studying in France in Paris and in Normandy where I lived with a wonderful French family. While I was there, my friends and I traveled as much as possible all over France and anywhere else we could afford. One very special memory was our trip from Paris to Istanbul and Athens on the original Orient Express train, 4 days in the 3rd class compartment! My love of travel and languages was really ignited that year and they continue to be a very important part of my life. After college I lived in California and in Boston while I tried out some different jobs and took courses in education to get a teaching certificate. My career began with teaching French classes in a middle school and later taking courses in Spanish and French for a Masters in both languages. After many years of teaching both French and Spanish I retired from full time teaching and began thinking about my next career. 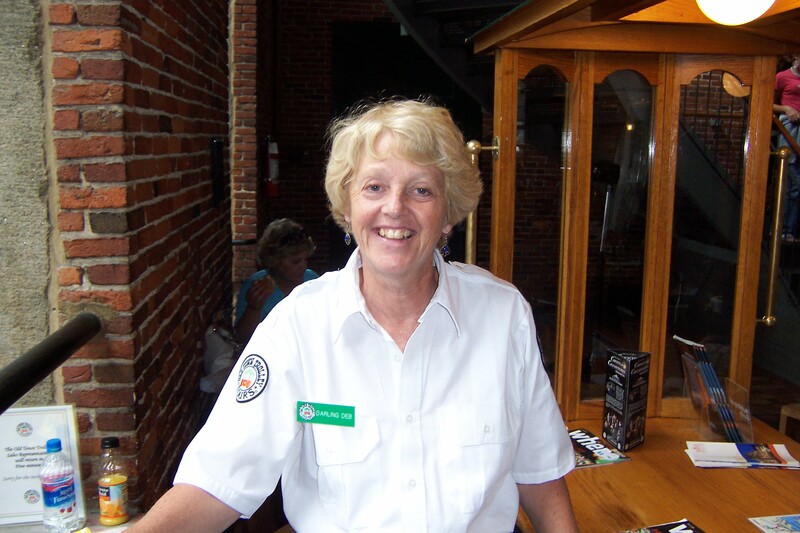 I had been a tour guide in Boston one summer way back and thought it would be a great way to use my skills. So in 2008 I began my job as a Sales Rep where I can have a “classroom “ of international guests to talk to every day! When I am not working, I am very involved with my family and friends. My husband Bill and I have two children, Katrina and Will, now in their 20’s and our very special grandson Austin who is six and king of Legos. Of course Rosie the cat and Molly, our new dog, play an important part in our family. We all love to travel, ski, skate, swim and sometimes play golf or tennis. For me reading and my yoga classes give the necessary downtime. My goals for the near future are to continue to learn Italian, travel more and spend lots of time with family and friends. Brewster on Cape Cod, it has beautiful sunsets, beaches, ponds and biking trails. I love singing, so I would like to have a great voice. Paris, because it is a great walking city with lots to do. Loyalty, flexibility, good listening skills and of course a sense of humor. Southern writers like Pat Conroy or Irish writers likeMaeve Binchy. I will try any book! I was born in the heartland of Des Moines, Iowa, but then moved to the hot deserts of Arizona – and I deplore the heat. I went on a high school vacation to San Diego and I fell in love. After graduation I decided to move to San Diego to enjoy the sun and beautiful beaches. I love being outdoors, working in the garden, and being in nature. That’s probably why my hobbies include planting gardens and restoring things that people have thrown away. You know what they say, “One man’s trash is another man’s treasure”. I’ve always been connected to Old Town State Park in one way or another. I remember always seeing one particular conductor smiling and ringing the bell as he drove by (Harold Dozier our current Head Conductor) and thought it might be fun working there. One day I saw an ad that they were hiring so I applied. Fifteen years later I’m still here selling tickets and delighting guests in San Diego’s beautiful sunshine. If you could choose one reality TV show to be on what would it be? The Amazing Race because I love the chase and the possibility of winning. I would love to be a talented chef. Batman for his strength and darkness. Anywhere in the Pacific Northwest where it rains. I love the rain. Josh is originally from Mechanicsville, VA. After attending Embry-Riddle Aeronautical University in Dayton Beach, he set out on an airline career, working for Spirit Airlines, Air France, and Delta. 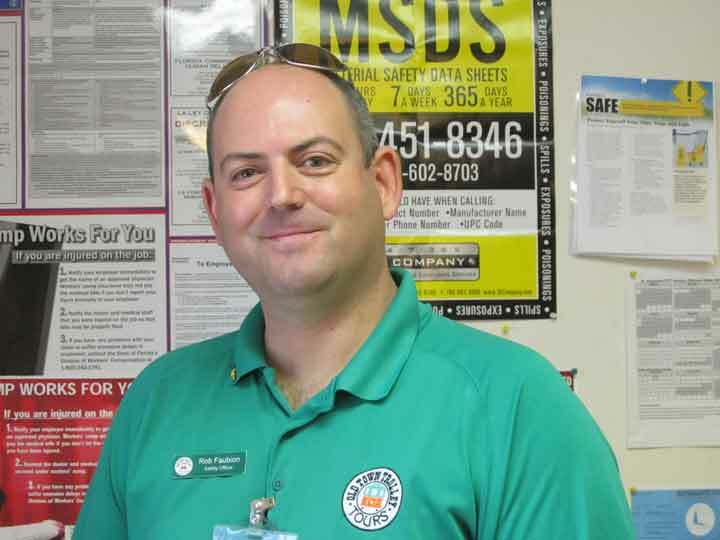 Following September 11th, Josh began working for Norfolk Southern Railway in various capacities before finding his way to Key West. 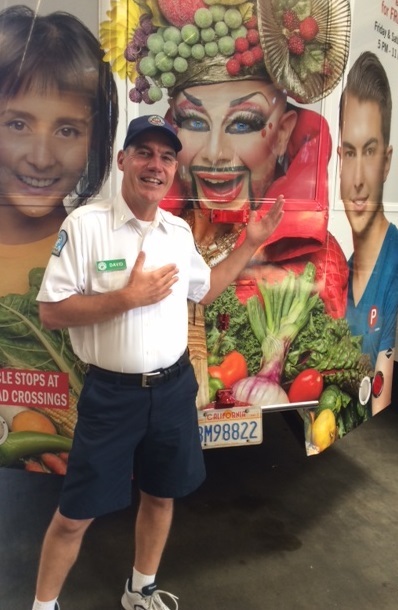 Today Josh serves as a conductor for Old Town Trolley Tours of Key West. In his spare time, Josh is an avid bagpiper He has had the opportunity to compete in some of the the best bands on the east coast. Together with his wife, Heidi, and their boxer, they enjoy calling the Keys home. Winning the John Harris Scholarship. This award allowed me to attend the week-long piping school that was put on by the National Piping Center in Glasgow, Scotland. There, I received instruction from some of the best pipers in the world. The love of my life is my wife Andrea. We just recently celebrated our eighteenth anniversary in May. I have been blessed to have such an intelligent, loving, and independent woman as my wife. She stood by and raised our two wonderful daughters Ciara and Caitlyn while I was off defending freedom and democracy around the world on one of many nuclear fast attack submarines. She would often go months without a phone call, email, or any other form of communication and yet she never complained. She is the best person I know. Having served in the United States Navy for twenty three and a half years. I attained the rank of Chief Petty Officer, successfully completed fifteen missions vital to national security of the United States of America, trained and mentored over 10,000 junior sailors, and somehow retained my sanity and sense of humor. I had the distinct honor of traveling to the North Pole in July of 2009 onboard USS Providence SSN 719, and commemorating the fiftieth anniversary of the first voyage to the pole by America’s first nuclear submarine the USS Nautilus SSN 571. Scotland. I have been blessed with the opportunity to go there six times. I enjoy the friendly people, the rich history of the country, and the fellowship of their local pubs over a pint or two. I have visited Edinburgh Castle and had the privilege of watching the Royal Edinburgh Military Tattoo. Additionally, I have been to Stirling Castle which commands the landscape for miles around. Stirling Castle is one of Scotland’s grandest castles and a wonderful backdrop for some of Scotland’s most important history. This castle overlooks the sites where William Wallace and Robert the Bruce defeated the English in 1297 and 1314 at Stirling Bridge and Bannockburn. I intend to return to both England and Scotland in 2016 with my wife for our twentieth wedding anniversary. Writers would take more pages than are available here, but my guilty pleasures are a series of books written by St Augustine native Steven Berry. These books are historically accurate and the stories are written in such a way that the fictitious portions of these stories blend seamlessly. The hero of these stories is the one and only Cotton Malone. These include The Templar Legacy (2006), The Alexandria Link (2007), The Venetian Betrayal (2007), The Charlemagne Pursuit (2008), The Paris Vendetta (2009), The Emperor’s Tomb (2010), The Jefferson Key (2011), The King’s Deception (2013), and The Lincoln Myth (2014) which will be taking up some of my spare time in the near future. Additionally, I am looking forward to reading Return to Masada (2002), The Faces of Inanna (2011), The StrathNaver Legends (2010), and Aleister Through the Looking Glass (2010). These books are written by a man I am proud to call my friend the one and only Robert G. “Friar Bob” Makin. What are three things you will always find in my refrigeerator? Dezzani Italian Muscato Wine for my wife, Hard Apple Cider for me (preferably my own homebrew recipe), and vanilla ice cream; because life without ice cream is simply not worth living. Boy am I one lucky guy! There were ten sales reps nationwide that sold more than a half a million dollars and I had three of them on my team. Not only were they on the list, they were the top three sellers. Karen DeHaan was the number one seller in the nation and Barbie Harrell came in second place. They are in a league of their own because they sold more than Three Quarters of a Million Dollars. Great job! David Mahl was third in the nation and he sold more than a Half a Million Dollars. This is the second year in a row where Barbie and David made it into the prestigious “Half a Million Dollar Club”. Great job and congratulations to all three of you! Each year during September, Old Town Trolley Tours of St. Augustine likes to say ‘thank you’ to the folks of St. John’s County by giving free admission to our tours and attractions during Locals Month. We feel it is a small gesture for all the support we get from the local community all year long. Imagine our surprise when the letter below showed up in the Letters To the Editor section of the St. Augustine Record. Life changed at the Old Jail and for History Teller John Hunter on January 23, 2014. John had a stroke that left him with slurred speech and an impaired right side. 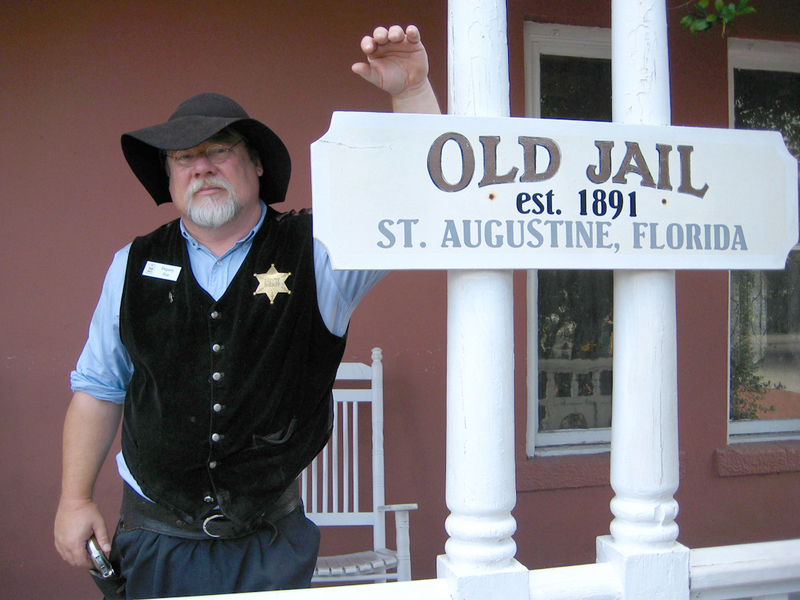 With the passion he has for portraying Deputy Jim at the Old Jail, John wondered if he’d be able to speak clearly again or even climb the steps in the 1891 prison. Over the next three months, John endured a rigorous outpatient therapy treatment plan and worked hard at home exercises to regain his speech and mobility. John’s friends at Old Town Trolley St Augustine rallied around him with support and love. CASTmembers Bonnie Nicol and Meghan Crawford headed up a fundraising effort for John that netted more than $2,000. I stayed in touch with John regularly throughout those weeks, always reminding him that his job was waiting for him whenever he was able to come back. 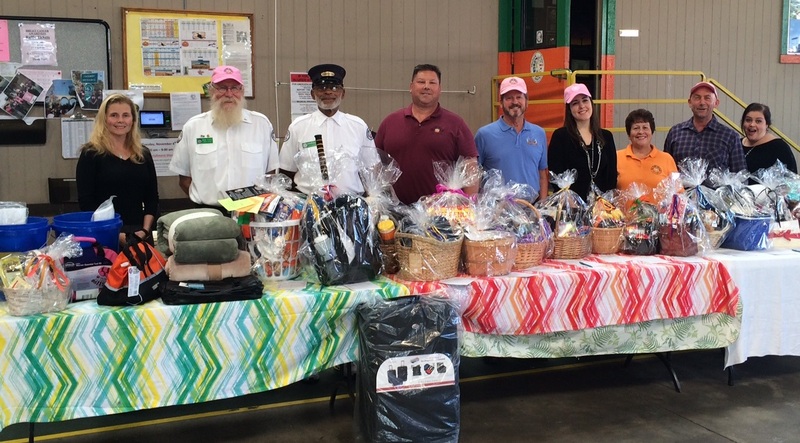 Deputy Jim returned to work in early May to the delight of his friends and our guests. John is known for his one-liners and the break room just hadn’t been the same without him. He is a favorite among our guests, as indicated by the many great comment cards he continuously receives. Posted in St. Augustine | Comments Off on Welcom Back Deputy Jim! Dave was born outside of Washington, D.C., into a large Cuban family that had immigrated to the United States in 1959. Half of my family settled in the DC area and the other half in Key West. After a few years Dave’s immediate family preferring Havana weather, decided to move south and made it down to Orlando. Disney World had just opened and ended up staying there for about 20 years. After high school I attended Western Kentucky University where he met his bride (Susie) of 20 years now. After college he began working in the hospitality industry, where I spent over 20 years primarily with Marriott Hotels. One stop was the historic Casa Marina in Key West. Dave worked is way up from valet to general manager in the Marriott Corporation. In 2012, Dave and his family returned to Key West and were once again reunited with his family. Dave’s 17 year old daughter Lexi is just graduated from Key West High School and is now attending Western Kentucky, her parents alma mater. 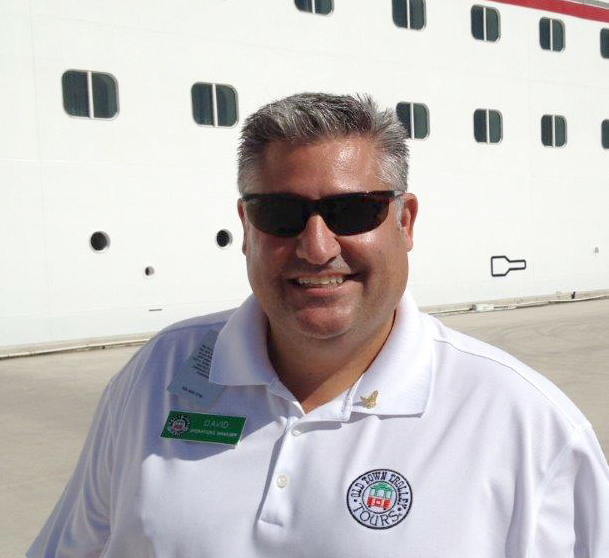 The Galvan’s return to Key West only got better when he joined the Old Town Trolley cast as Operations Manager. You are currently browsing the Old Town Trolley Tours Blog blog archives for October, 2014.